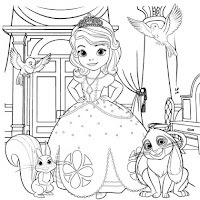 Free Sofia the First Coloring Page! Head over to print a free Sofia the First coloring page! This is a great boredom buster for your little princess!